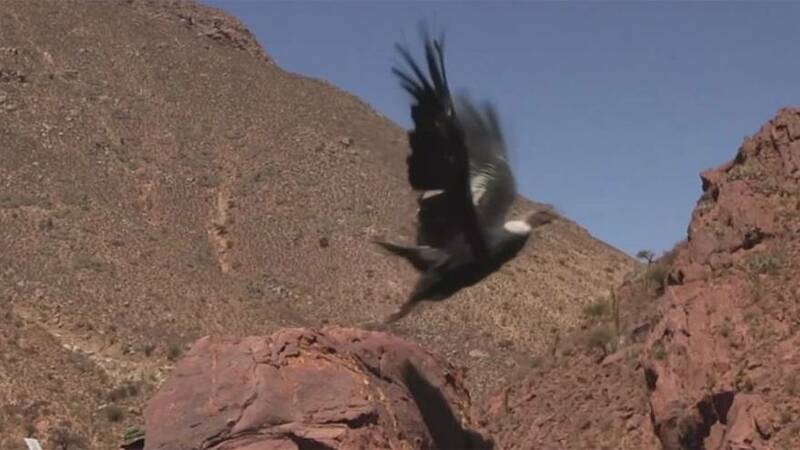 An Andean condor, who was treated in a Buenos Aires zoo following a gun shot wound, has been released into the wild of North Western Argentina this week. The giant bird, known as Luracatao, had spent the last year being treated in the Buenos Aires zoo after he was found with a gunshot wound to the face, which left him on the brink of death. A large number of locals in the Andean region of Salta turned out to watch the animal return to his natural habitat. Local indigenous communities performed a ritual ceremony ahead of his release.